The 27th of November was Black Friday, known to animal rights activists as Fur Free Friday. 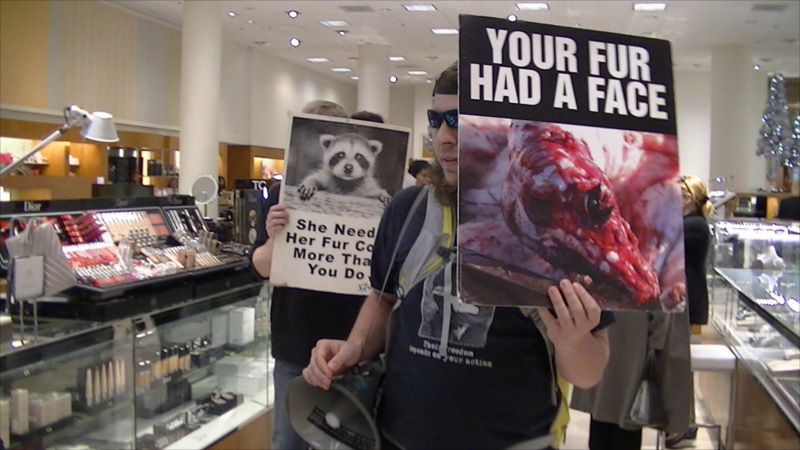 This year, activists managed to march through both Neiman-Marcus in DC and Miller's Furs a little over a mile north of DC in Maryland. 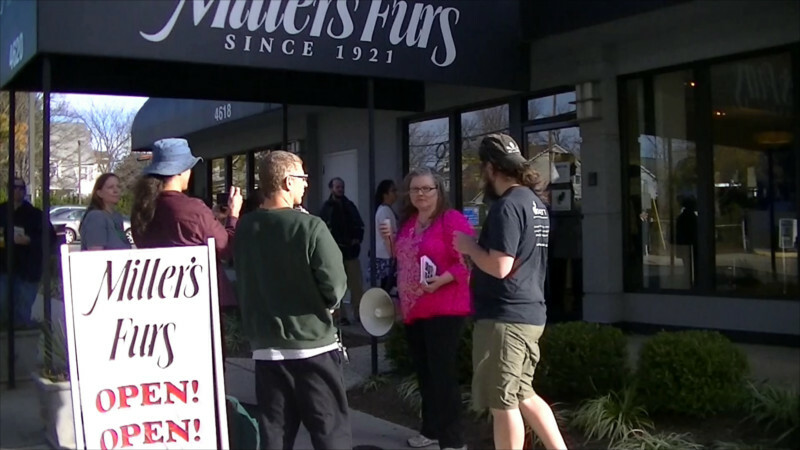 At Miller's Furs things got a bit rough, first with the store owner freaking out, then police cars with sirens screaming roaring up to activists as they were leaving the area. Although the protesters were detained none were arrested. At least one person escaped the cops outright. At Neiman-Marcus, a police dispatcher could be overheard on a store security phone admonishing them to call back on a non-emergency number after they called 9-11. In Montgomery County, by comparison, police cars showed up with sirens screaming, and even after cops engaged the protesters one could be heard on Wisconsin Ave still driving with their siren running. Possibly the police were acting on an embellished report from Manny Miller, who is known to have an almost psychotic reaction to fur protesters? The heavy response followed by no arrests certainly suggests this possiblity.